This article provides a different medical perspective on the interpretation of a dream that Sigmund Freud had. The dream and its interpretation laid the paradigmatic cornerstone for psychoanalysis. First, I provide you the reader with some anecdotal background of how I arrived at the understanding of Freud's dream about "Irma" (Emma Eckstein). As a student in the early 1980's, I choose as one of my training rotations to work in a Child Psychiatric Mental Health unit in St Gallen, Switzerland. After the rotation was completed, I asked to stay on part time and the Director of the clinic made it happen. While I was still studying at the University of Zurich, I commuted to St Gallen for over one year to assess and treat children. There were many wonderful experiences, perceptions and behaviours that the children that I worked with showed and gave to me. I mean this in the sense that, children under the age of approximately 8 years have not yet implemented what Freud called the censorship or editing of their thoughts, feelings and emotional conflicts. So for example, on simple projective testing, like asking the child to draw a tree, or yourself, or your family, these children would almost invariable show how the dynamics of their psychological inner world operated. It was like they were poetically showing me their "soul". Looking at the dreams these children provided, they matched (were complementary) with their conscious projections. There was a refreshing sense of pristine openness, very little was concealed. However, once the developmental threshold of approximately 8 years old was achieved, the children began to loose their innocence and began to hide their "true" feelings. I searched in the psychological literature to explain this ability to conceal and hide true feeling and found an explanation in the works of R.D. Laing Politics of the Family and The Divided Self, Rollo May's, Power and Innocence and Love and Will, Alexander Lowen's Narcissism:Denial of the True Self , James F. Masterton The Search for the Real Self: Inmasking the Personality Disorders of Our Age, and later Psychoanalysis of Developmental Arrest by Robert D. Stolorow and Frank Lachmann. They provided me with a medical and sociological understanding of the "schizotypal" world we lived in and how the psychological mechanism of deception and deceit were being generationally and transpersonally reproduced in our dreams. Many therapists have commented on the nature and dynamics of the "true" and the "false" self. This transpersonal dreaming process of deceit can only for the most part be an irrational and destructive psychological force for individuals as well as society in general. Children learn to censor, edit, keep secrets and lie about their life stories, memories, perceptions, thoughts, feelings and consciousness. This psychological self-defensive process can be seen in their dreams. It becomes more of a complex therapeutic problem to assess the ontological and psychological conflicts that children were faced with, when the defense mechanisms of obfuscation, censorship and editing were instituted and employed by the psyche. As I was still in training at that time, I had difficulties from a therapeutic perspective, dealing with more heavily traumatized children, who showed much more violent "acting out" behaviours as a consequence. I did acquire the necessary psychological therapeutic tools to deal with these especially pre-verbal developmental traumas after I graduated and went into private practice. Working with those children in St Gallen, who were older than eight years old is when and where I fully realized that accessing the "true" feelings, especially those of adults (having already completed an adult psychiatric rotation in Berne, Switzerland) could be best achieved via the vehicle of the dream. For the dream still operates much like the projective testing of children under the age of 8 years old. Maybe this is part of the reason why so many adults don't understand the meaning of their dreams? Adults often fail to consciously recognize the values of innocence, truth, and authenticity instead censorship, editing, appearance and obfuscation have become more valuable. I have always disliked "battleship" psychology, although when there are no dreams available, this is sometimes the only cognitive method and way to proceed. Dreams divulge all secrets. To prove my point, just read a few of the interpretations posted at the IIDR website: Keeping it Under Your Hat, Don't Let the Sun Catch You Crying which illustrates the psychological defensive process at work. In the psychological extreme, the angelic innocence of children is contrasted by the adult film noir environment which is given voice in Mysteries of Dallas. 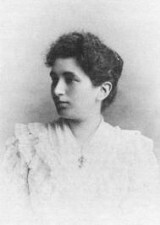 Freud believed that the mainspring for the dream was a "wish" to exonerate himself from any medical blame for the lack of complete success in the treatment of Irma's (Emma Eckstein) condition. Freud saw the dream and its scientific "analysis" as a paradigma for his psychoanalytic theory about the decryption of the meaning of dreams. In the "Analysis" section of Freud's dream of Irma, he analyses and discusses the dream methodically step by step, providing associations from his memory. His first step is about the "large hall-numerous guests we were receiving", the second is about "I reproached Irma for not having accepted my solution." Freud however has conveniently edited and left out an important intermediary step in the true sequence of the events (and associations) in the dream namely, "I at once took her to one side, as though to answer her letter...."
Much like the mysterious gaps in Nixon's Presidential "Watergate" tapes, we (the reader) are evidently not informed of the contents of Emma's letter nor of the complete nature of the medical melodrama playing itself out; "I took her to one side, as though to answer her letter...". Why the pretense of "as though to answer her letter"? As we know, Freud saw himself as a "man of letters" (Freud actually won the Goethe Prize), many of his letters were between himself and his friend Wilhelm Fliess. Some of the letters were published after Freud past on by Max Schur (1), they provide clues to the truth. Freud in fact may have been trying to conceal, cover up and rationalize a botched operation by Fliess on Emma. Freud may have felt guilt by association. "Freud had a dream-I would not think it right to air the problem it involved. I interpreted it as best as I could, but added that a great deal more could be said about it if he would supply me with some additional details from his private life. Freud's response to these words was a curious look-a look of utmost suspicion. Then he said, ‘But I cannot risk my authority!' At that moment he lost it all together. That sentence burned itself into my memory; and in it the end of our relationship was already foreshadowed. Freud was placing personal authority above truth." In their book "Excuses: Masquerades in Search of Grace", C.R. Snyder, Raymond L Higgins and Rita J. Stucky discuss the self defensive role of excuse making (including the use of blaming others, much as in Freud's medical excuse making in Irma's Injection dream) in order to maintain a positive "professional" self-image. Has that much changed since the times of Freud, in terms of defending reputations and medical malpractice law suits? 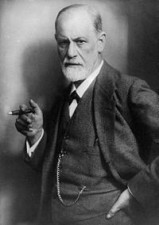 Again in the dream that he disclosed to Jung, Freud chooses to defend his reputation and authority over the truth. Had Freud realized the hidden meaning of his own dream which Jung was able to cleverly intuit and decipher, he (Freud) most likely would have never disclosed the dream to Jung in the first place. Ironically, Freud the master of modern scientific dream interpretation himself was prone to Freudian slippage of his own hypocrisy. I believe that Jung more so than Freud understood that the dream is the best lie detector ever invented.